When you become a client of KRISTIN BARTLOW & TEAM, you place your trust in us to help make your plans a reality. Kristin will honor your trust with the help of colleagues and expert team members; together, we are dedicated to providing top-tier client service. To schedule an initial appointment, please contact Raquel Smith at 707-741-8354 . Growing up in a single parent home exposed Kevin early on to some of life's tougher realities. With an aim to help families avoid a similar fate, Kevin has devoted his career to financial services. He was drawn to Northwestern Mutual in 2012 because of the comprehensive planning and client centered culture that exists. Kevin joined the Bartlow Slone team 2015, and works directly with clients as an advisor. He believes in the power of continuing education for the betterment of himself and his clients and has obtained his CFP® (CERTIFIED FINANCIAL PLANNER ™) Certification and CLU®, RICP®, and ChFC® designations. Kevin is a University of Colorado at Boulder graduate and he currently resides in Walnut Creek with his wife, Maggie, and three daughters, Emma Molly, and Charlotte. How can I help you? Questions about the financial plan and recommendations. Ebi assists Kristin with financial plan building. Before joining the team at Northwestern Mutual, Ebi worked in performance reporting and operational roles in the fixed income and equity management industries. Ebi graduated from the University of Texas at Austin with a B.S. in Mathematics and the University of San Francisco with a Master's degree in Financial Analysis. He was raised in a small town just outside Houston, TX and currently resides in San Francisco with the hopes of moving to the East Bay in the near future. Ebi likes to go on road trips, play basketball and support his hometown Houston sports teams. How can I help you? Service related questions. Renee assists the team in client servicing, marketing and office administration. She joined Northwestern Mutual in 2017 after a 20+ year career overseas in Hong Kong. She is a fluent Cantonese speaker. Renee and her husband, Michael, have twins, Matthew and Nichole. The kids are both competitive soccer players, so Renee’s “second job" is a super soccer mom / manager. In her spare time, she likes to travel which she has done over the years throughout South East Asia. How can I help you? Marketing opportunities, account questions and general inquiries. Brett leads the investment operations effort and helps with client on-boarding. 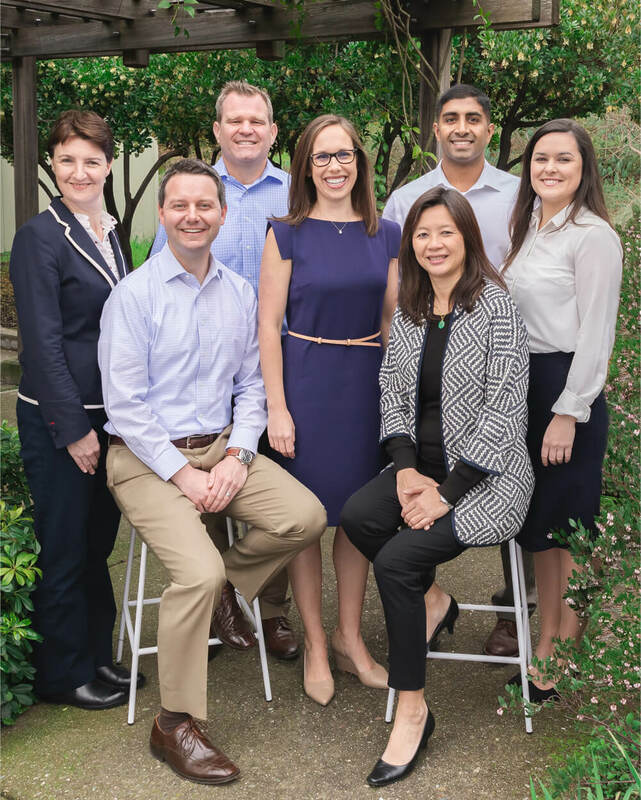 Prior to joining Northwestern Mutual, Brett worked with four regional investment banks based in San Francisco focusing on supporting their trading desks. Brett holds a B.S. in Business Administration from the University of California Chico and is Series 7, 63 and CA Life & Health licensed. Brett lives in Clayton and is married to Elise and they have two children, Ronan and Mikayla. His favorite pastime is spending time with his family traveling and coaching youth sports. How can I help you? Investment related questions. Raquel assists the team in scheduling. She has been with Northwestern Mutual since 2012. Raquel was born and raised in the Bay Area and joined KRISTIN BARTLOW & TEAM in 2015. She enjoys traveling with her daughter, Xenia, trips to the beach and painting. In her free time she leads a Girl Scout Troop. How can I help you? Scheduling related questions. Joann runs the team's insurance operations. She has been with Northwestern Mutual since 2016. Joann graduated from Galway-Mayo Institute of Ireland with a BA in Business Studies. Her insurance career started in the area of Property and Casualty. She has obtained her life, health and long term care license. She is married to Chris and they have two sons, Aidan and Liam. In her free time Joann enjoys walking her dog, playing the guitar and travelling. How can I help you? Insurance related inquires and account management.